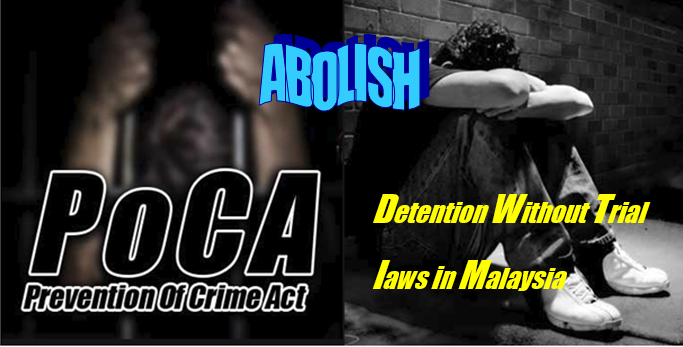 We are shocked about the continued existence of Detention Without Trial laws in Malaysia, including the Prevention of Crimes Act 1959(POCA), Prevention of Terrorism Act 2015 (POTA) and the Dangerous Drugs (Special Preventive Measures) Act 1985 that allows for persons to be arrested, detained and/or restricted without even being accorded the right to challenge the reasons of their incarceration and/or restriction in court. The fundamental right to a fair trial is denied. If 142 juveniles were victims of this Detention Without Trial(DWT) law, then one wonders whether thousands of individuals are currently being detained/restricted under POCA and other DWT laws. The fundamental problem with these DWT laws in Malaysia is that the victim cannot even challenge even the reasons for his arrest, detention and/or restriction in a court of law. Without the ability to go for a judicial review challenging the reasons used for the detention/restriction, the judiciary is effectively barred from ensuring that the Executive is not abusing its power and/or that no innocent person is being unjustly denied his constitutionally guaranteed rights and liberties. DWT allows for an individual to be detained and/or restricted indefinitely according to the whims and fancies of the government, be it a Minister or some appointed Board. A person who has been arrested, detained and/or restricted under these draconian Detention Without Trial Laws are also denied the fundamental right to a fair trial. The State could also deny rights/liberties of the innocent. The principle that everyone should be presumed innocent until proven guilty in a court of law must be respected. 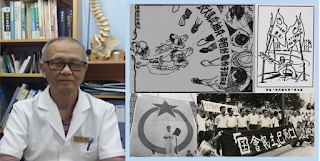 When Malaysia finally got rid of the infamous Internal Security Act 1960(ISA) and the Emergency(Public Order and Prevention of Crime) Ordinance 1969, there was hope that all other laws that allow for DWT will also soon be repealed. 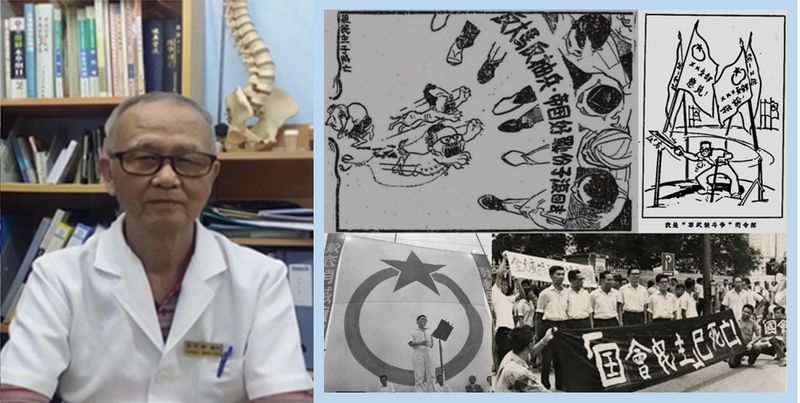 However, the opposite happened and the ability of the State to continue using Detention Without Trial laws, was enhanced by the amendments of the Prevention of Crimes Act 1959(POCA), and the introduction of the new Prevention of Terrorism Act 2012. Previously, when POCA was used, within 24 hours after arrest when the victim is brought before the Magistrate for a remand application, a statement in writing signed by a police officer not below the rank of Assistant Superintendent stating that there are grounds for believing that the name of that person should be entered on the Register was required before a Magistrate had to grant a 14 day remand. But, after April 2014, all that is required is a statement of a police officer of merely the rank of Inspector. Hence, rather than having greater safeguard against possible abuse, it was made easier by requiring just a lower ranked Inspector’s statement. Remand period was also extended to 21 days. POCA, which was originally enacted to be used for organized crime members, triads or gangs involved in crimes involving ‘violence or extortion’ was amended to cover all offences in the Penal Code. Originally it was to be used for gangs of 5 or more persons, but that was amended to 2 or more persons. That means that POCA can now be used for even a person who committed a crime with another, even if the crime was theft or some other lesser crime. Right to a fair trial now could easily be denied for many more persons. The POCA amendment, that came into force in May 2014, allowed for POCA to be used also for an even wider range of persons including drug traffickers including persons living on proceeds of drug trafficking, human traffickers including persons living on proceeds of human trafficking, persons involved in unlawful gaming, smugglers of migrants including persons living on proceeds of migrant smuggling, recruiters of members of gangs or persons to participate in some crime. A subsequent amendment in 2015 added ‘Persons who engage in the commission or support of terrorist acts under the Penal Code’. An interesting amendment to POCA that came into effect on 1/9/2015 was section 4(2A) which stated that “No person shall be arrested and detained under this section solely for his political belief or political activity. The new Section 4(5) goes on to explain "political belief or political activity" as meaning ‘engaging in a lawful activity through-(a) the expression of an opinion or the pursuit of a course of action made according to the tenets of a political party that is at the relevant time registered under the Societies Act 1966 [Act 335] as evidenced by-(i) membership of or contribution to that party; or (ii) open and active participation in the affairs of that party; (b) the expression of an opinion directed towards any government in Malaysia; or (c) the pursuit of a course of action directed towards any government in Malaysia.". This may give the impression that POCA will not be used against politicians (and possibly even civil society personalities) for actions directed against the government. It however does not protect civil society or human rights defenders if their actions and/or expression of opinion is directed against some our perpetrator of injustice, not being ‘any government’, or is they are alleged of committing some other crime. 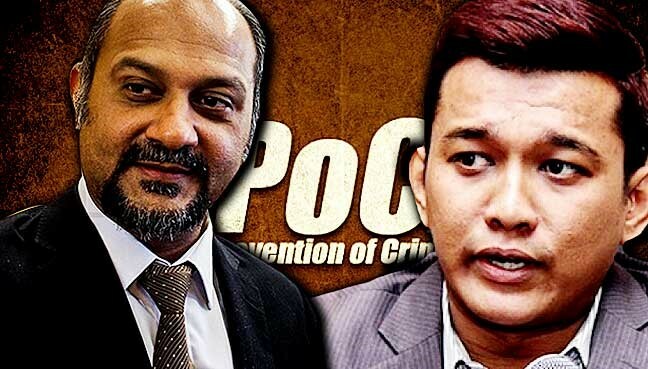 We recall that POCA was used in July 2016 in the case of R. Sri Sanjeevan, Malaysian Crime Watch Task Force (MyWatch) chairman – a civil society organisation. This amendment, however, may have the effect of reducing the interest or concern of political parties about POCA and such Detention Without Trial Laws. The victims of these DWT laws may now be mostly common people, who are being detained and/or restricted for years without even being accorded a fair trial. The number of victims of such DWT laws are also unknown, as most such information in Malaysia are usually known when the government makes a reply to a Parliamentary Question. The recent information about the number of juvenile victims of POCA was because of a such question raised by an Opposition parliamentarian. Now, whenever a person is suspected of a crime involving 2 or more persons, POCA can simply be used as it is so much easier, and requires no comprehensive investigation or gathering of evidence that would have been required if one was to be charged and tried in court. In a fair trial, prosecution needs to prove that a person is guilty beyond reasonable doubt. The guilt or innocence of a person must be determined by an independent judge in court, and the belief of the police, prosecution or government that a person is guilty is inadequate. A trial also gives a right to the accused persons to defend themselves, and the courts will decide after considering all evidence and facts of the case.